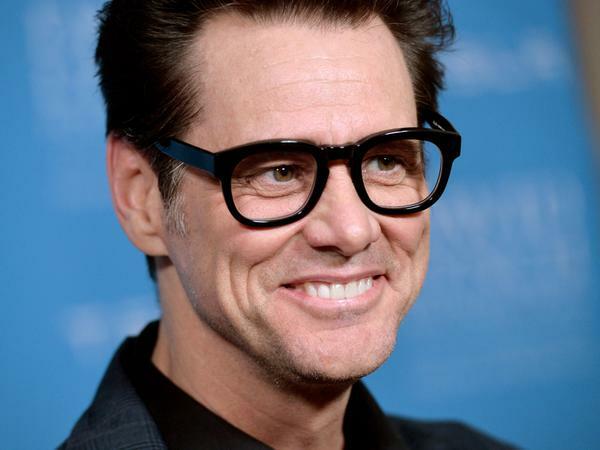 Ontario-born Jim Carrey has starred in more blockbuster movies than anybody else on the list, with total revenue from his movies totalling over $4.6 Billion. While smash hit roles have been thinner on the ground lately, thestring of successful comedies he fronted has ensured his legacy as one of the great comedy actors of his generation. Canadian-born Seth has been perfecting his comedy routines since the precocious age of 13. Hooking up with Judd Apatow has certainly helped his career, and gave him a start on cult TV favorite Freaks and Geeks. Since then he has enjoyed critical and commercial success in a variety of comedies, with the 40-year-old Virgin his first major Hollywood role. It’s probably fair to say that son of a Canadian Mountie Leslie Nielsen has featured in his fair share of turkeys (Mr Magoo,Spy Hard…) over the years. However, over the course of a 50+ year career he won a place in the hearts of comedy fans world-wide for his appearances in classics of the genre like the Airplane and Naked Gun series of movies. Vancouver born Ryan Reynolds has had an interesting career, appearing in a range of movies from teen comedies to family animations to X-rated comedies. His biggest commercial success to date has certainly been his role as foul-mouthed superhero Deadpool, a marked contrast to the widely panned Green Lantern in which he also starred. Baby-faced Michael Cera has featured in a number of left-of-center comedies since graduating from the hit TV show Arrested Development. His quirky comedic sensibilities have seen him land major roles in hit comedies like Sausage Party, Superbad, Juno and a host of others. Anna Paquin tasted major success incredibly early, picking up the Best Supporting Actress award for her work in ‘The Piano’ at the tender age of eleven. She has appeared in a number of major movies since then, including the X-Men series in which she played the role of mutant superheroine Rogue. By the time he was 20 Mike Myers was already starring in his own TV show in Canada, so by the time he joined Saturday Night Live he was well versed in the world of comedy and performance. Taking the character of Wayne from SNL to the big screen proved a smash hit, as did other comic creations like Austin Powers and cartoon ogre Shrek. Leaving Canada for the States at age 18, Michael J. Fox had to endure some barren years before breaking through with his attention-grabbing role as Alex P. Keaton, in the long-running hit TV show Family Ties. From there he went on to star in a string of successful movies over the 80s and 90s, although the onset of Parkinson’s has restricted his ability to act in recent years. Another famous Ontarian, Ryan Gosling is one of a line of graduates of the Mickey Mouse club, where he acted as backup dancer for future superstars Justin Timberlake, Christina Aguilera and Britney Spears. His career as a Hollywood actor has led him to choose a variety of different roles, eschewing the typical leading man roles in traditional blockbusters for more interesting fare. Ryan Gosling and Rachel McAdams were both born in London, Ontario (population 380,000). Coincidentally both got their big breaks starring opposite each other in syrupy romantic drama ‘The Notebook’. McAdams earned her first Oscar nomination for her role in the acclaimed Best Picture Winner of 2016: Spotlight. If you want to enjoy the trappings of the Hollywood lifestyle, then your best bet may be to go to Lottoland. Canadian players can try their luck on lotteries from around the world such as Powerball and EuroMillions. Click here to find out more about the range of online lotteries available at this award-winning site.